The Black Jack Cross Country Ski Club is a nonprofit society with over 750 members. Our mission is to build a community of Nordic skiers by providing and sustaining excellence in programs and services. Black Jack has been incorporated as a non-profit society since 1983. Over the years we have made significant improvements to our club through the tireless efforts of volunteers and the successful management of generous grants. Black Jack is considered one of the premier cross-country ski facilities in western Canada due to our excellent grooming, variety of trails, abundant reliable snowfall, and convenience of our proximity to Rossland. We host thousands of day-skier visits per year and have hosted many large high-profile races, from NorAm Canada Cups to the Canadian Masters Championship. Strong support from our community has enabled Black Jack to grow to its current level. We greatly appreciate all the support we receive from our members, donors, and sponsors. Thank you! 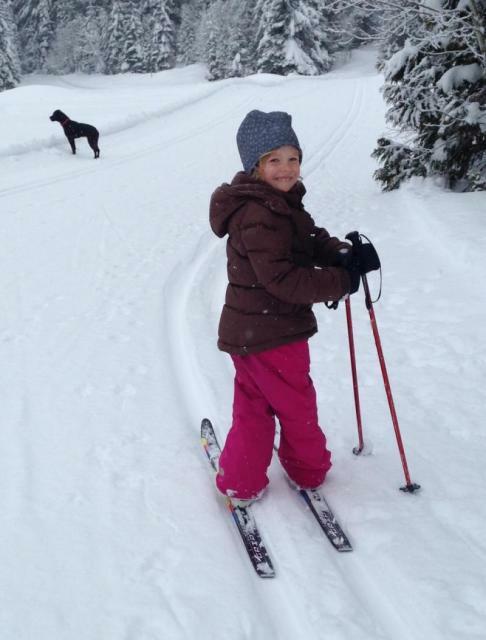 Cross-country skiing is the best low-impact whole-body activity, is great for health and fitness, exercises all major muscle groups, is great for all ages, is a great way to get outside with friends during the winter… and it’s super fun! It’s not just a weekend thing - many skiers ski by headlamp or moonlight at night after work. And, there is a 2.5 km lit night-skiing loop. The Black Jack Cross Country Ski Club is located 5 minutes north of Rossland, just past and across the highway from Red Mountain Ski Resort. There are approx 40km of scenic trails groomed for both classic skiing and skate skiing. This winter we had 717 members from ages 1 to 90. 1 in 6 Rosslanders is a Black Jack member, which we believe is the highest per capita xc ski population in Canada! Don’t know where to start?? Come to our annual fall ski swap, or stop in at Kootenay Nordic Sports in Rossland or Gerick's in Trail. They’ll get you set up and ready to hit the trails!